Effectiveness and efficiency of decentralised project implementation requires that we are all on the same page, and working towards the same objectives. Usually, the challenge is in finding a proper coordination mechanism to bring all actors on board. 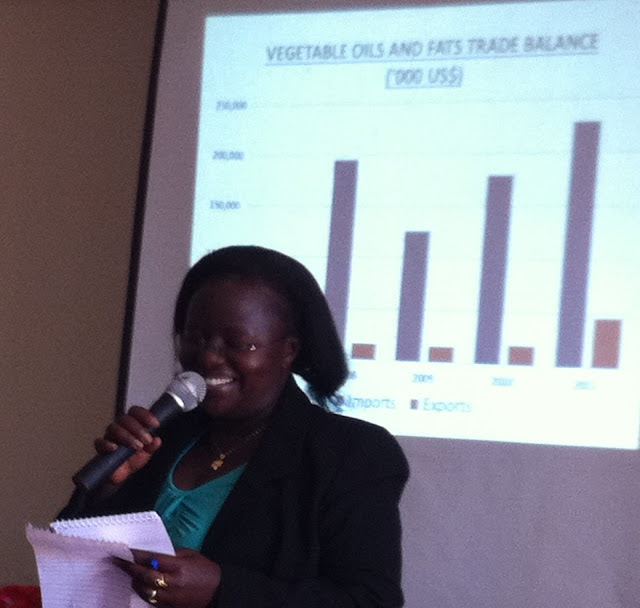 To address this need, the Vegetable Oil Development Project – Phase 2 held a start-up workshop for the oil seeds component in Lira, Northern Uganda, 11 - 12 September. 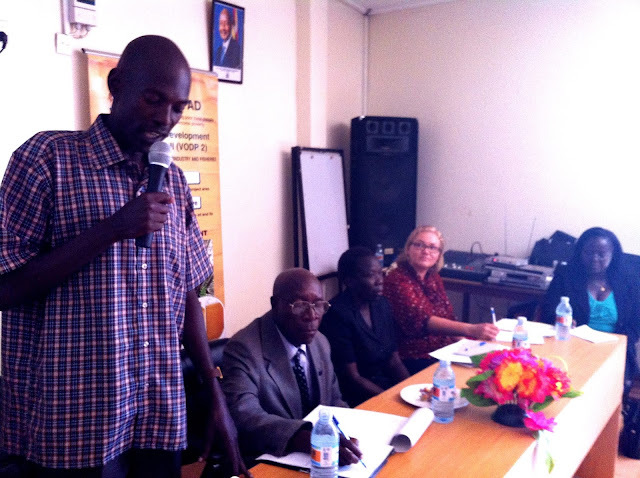 In this workshop, millers, researchers, district local government officials, representatives from financial institutions, and organisations of service providers, together with the project management unit came together to discuss the challenges and opportunities along the oil crops value chain, and the positioning of VODP2 in addressing some of them. The component promotes, through a value chain approach, the production and marketing of sunflower, soya bean, ground nuts and sesame at smallholder level, and works with the private sector to integrate famers into the markets. About 29 districts were represented by over 100 participants - the future oil seeds champions! The overarching theme was “poverty alleviation” which led to critical questions from an active audience. For example, one participant wanted to know why as a country Uganda continues to export grains when we have a trade balance deficit. Uganda acts as a bread basket for the region, providing huge potential for earning of foreign exchange and better prices for the farmers. Strong inclusive markets are a win-win situation. asks for answers. Such forums serve as knowledge sharing events. “Small trees make the forest thick. Large trees can never do that". The afternoon consisted of working group sessions. Each group discussed 4 indicators of the logical framework in detail; objectives of increased production versus productivity; linkages to research or how to monitor the work of service providers were raised. These discussions contributed to ownership of the project at district level, where we all agreed during the wrap-up session that timely communication through the appropriate channels will help us achieve impact!